Field Stone Farm participates in both the Capital City Farmers Market (Montpelier) on Saturdays from 9am to 1pm, and the Northfield Farmers Market on Tuesdays from 3pm to 6pm. Our Market Share program allows you to take advantage of the full market display to buy what produce you want, and however much you want of what we offer. This is a popular alternative to the classic “boxed share” CSA model, allowing you the flexibility to shop at market and buy as much or as little as you want each week, while still participating in the pay-up-front program that is so valuable to farmers. Upon signing up, you’ll receive a Square credit card loaded with your pre-purchased amount. These cards are re-loadable, and we can easily check your balance each time you use it. 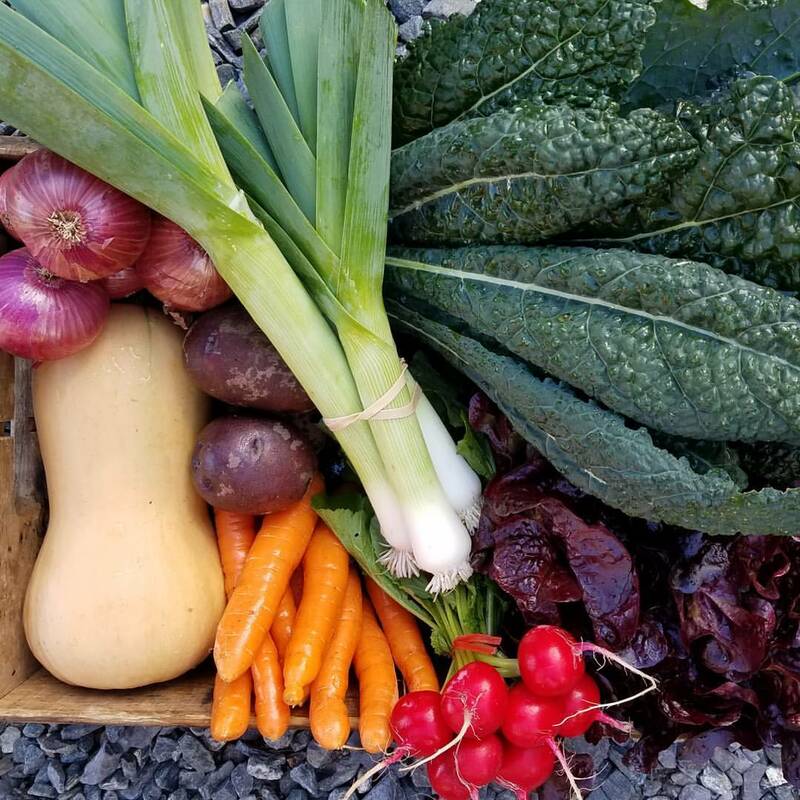 The market season runs from May to October, but you can now find our produce at the Green Mountain Girls Farmstand and shop with your card any day of the week! Perfect for purchasing your salad and fixings for the week. An average of $13/week over the 26 week market period. For the more dedicated shoppers out there, an average of $21/week over the 26 week market period. Market Share “Healthy Choice”: You decide your amount! Interested in dabbling with shopping at the farmers’ market and supporting the farm without making too big of a commitment? You can decide how much to put on your card! Anything above $100 receives a 10% bonus. Want to become a CSA member? Fill out the form below! We will send you a confirmation email and invoice upon receiving your submission. If Healthy Choice, What Amount?